MBTA mechanics, who earn less than 3% above the national average when adjusted for cost of living, are the #1 bus maintenance workforce in the United States despite maintaining an aging and diverse fleet of buses in adverse New England conditions.  Now, Massachusetts Governor Charles Baker is breaking a public promise he made not to privatize the MBTA with a renewed attack on the jobs of blue-collar fuelers and mechanics who staff MBTA bus maintenance garages in Quincy, Boston, and Lynn. In a summer Friday afternoon news dump, Baker announced he will issue a “request for proposal” to unaccountable for-profit companies who will seek to take control of MBTA bus maintenance. “The negotiations have been totally one-sided with the workers offering $29 million in savings and only hearing silence from management,” said Mike Vartabedian, Business Representative of IAM Local 264. “The Governor should be working with us to improve the MBTA instead of selling it off in parts to for-profit companies,” said Mike Haywood, the MBTA mechanic and union member whose innovation and plow invention have been widely credited with improving winter service. The controversial move by the Governor means the public may lose control of another core MBTA service – and that riders likely will face further service delays and additional taxpayer bailouts as have occurred frequently with Keolis. 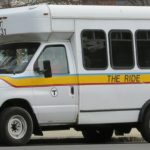 Potential bidders on the MBTA bus maintenance services include First Transit, who have come under fire for failing to meet on-time performance, or TransDev, who have faced international criticism for various failures under their private contracts with governments in the United States and abroad. Nate and other MBTA mechanics have kicked off a series of advertisements and public messages to air across the state in coordination with the INVEST NOW coalition calling on Baker to reconsider his outsourcing plans, citing the impact it will have on their families and communities. 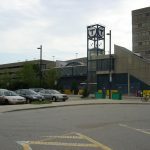 While the “request for proposal” announced today targets three garages – Lynn, Arborway (Boston), and Quincy – it will impact hundreds of blue collar workers across the MBTA bus maintenance system. Most recently, these core MBTA service workers, some of whom already work two jobs to support their families, voluntarily deferred their scheduled 2.5% percent raise scheduled for July 1, 2017 as an olive branch in negotiations. Watchdog groups say ex-transit chief Brian Shortsleeve, who is still negotiating with the workers on behalf of Baker despite resigning from his post, is intentionally stonewalling to pave the way for a new privatization scheme that would hand over control of MBTA bus maintenance to a private corporation. In fact, the MBTA is yet to offer the union representing the mechanics any official counter-proposal in negotiations responding to the robust cost-savings put forward by the workers. According to the MBTA’s own audit in 2016, MBTA buses average 12,946 miles between breakdowns, compared to New York buses averaging 5,696 miles between breakdowns and Chicago buses averaging 3,008 miles between breakdowns. Through negotiations, 406 workers who keep MBTA buses safe and operational as mechanics, fuelers, and technicians within IAM Local 264 have offered ex-MBTA acting general manager Brian Shortsleeve at least $29 million in annual savings – well above the $21 million savings target for bus maintenance set forth by the MBTA Fiscal and Management Control Board. During collective bargaining sessions between IAM Local 264 and the MBTA, workers have agreed to support all of the workflow and efficiency reforms outlined in the MBTA-commissioned CH2M Hill, Inc. report that are worth between $23-$27 million in expected annual savings. Additionally, the workers have offered significant concessions during negotiations including changes to job classifications that are worth at least another $6-$8 million annually. Under the workers’ proposal, those annual savings will grow over time as workers will be expected to serve longer in lower job title categories before being eligible for raises or professional advancement, even if they have the necessary skills to advance, generating consistent and exponential savings for management. Additionally, they have offered to accept the same future general wage schedule that the MBTA has already agreed to with the Carmen’s Union. Workers have also proposed the creation of a “labor management efficiency committee” to pursue future savings in coordination with MBTA management beyond the $29 million.